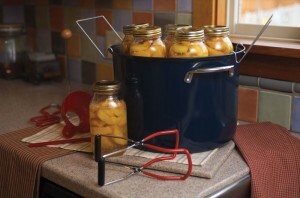 Water bath canning is a method in canning and preserving food through boiling. Food with high acid levels is preferred done under this process because most bacteria like mould, yeasts and enzymes found in these foods can be easily killed just through boiling. The temperature in this method must be 100 degrees Celsius and maintained for the whole processing time. If this is not followed, all you have preserved and canned will go to waste. You would not want your money, time and effort wasted, so make sure to follow the steps properly in water bath canning. Remember the important tips and techniques for you to have a good preserved food. Fruits, pickles, relishes, acidified tomatoes, fruit jellies, jams, butters, marmalades and other preserves are processed in water bath canning. Selecting the best and fresh fruit is one good factor considered in canning and preserving food that will result to a delicious and nutritious preserves. Some fruits are needed to be pre-cooked first before you pack them into jars. This is called the hot pack method while the packing of raw and uncooked fruits and vegetables is called the cold pack method. Not all vegetables can be processed in water bath canning, like for example, tomatoes and figs. But that’s not a problem, just simply add some acid to these vegetables and you can now process it in this method. 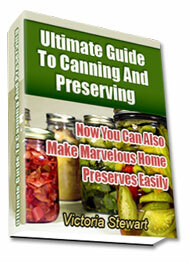 Water bath canning can be easily done in your own home. The equipments in water bath canning can be only improvised. It is not true that this method is hard to learn and understand. Listed below are these basic steps to follow, for you too fully learn this method. Gathering the fresh, with no blemishes foods, washed and dried. Washing, drying and sterilizing utensils and equipments. Preparation of ingredients, cut, peeled or pre-cooked as needed. Packing of food in sterilized jars thus make sure there are no air bubbles. Boiling of packed jars in a large pot with a 100 degree Celsius temperature. Cooling of jars after the process for at least 12 to 24 hours. Testing the seal of jars, make sure there is no leakage. Labelling each jar the needed information such as content, date made and expiration for easy detection of spoilage. Storing of preserved food in a cool, dry and dark place. Water bath canning is said to be the safest and budget friendly method of preserving food in your own home providing food storage for your family in a healthy way, thus it prevents food shortage in times of emergencies. Once you have mastered it, you can help other housewives or close friends to do water bath canning.